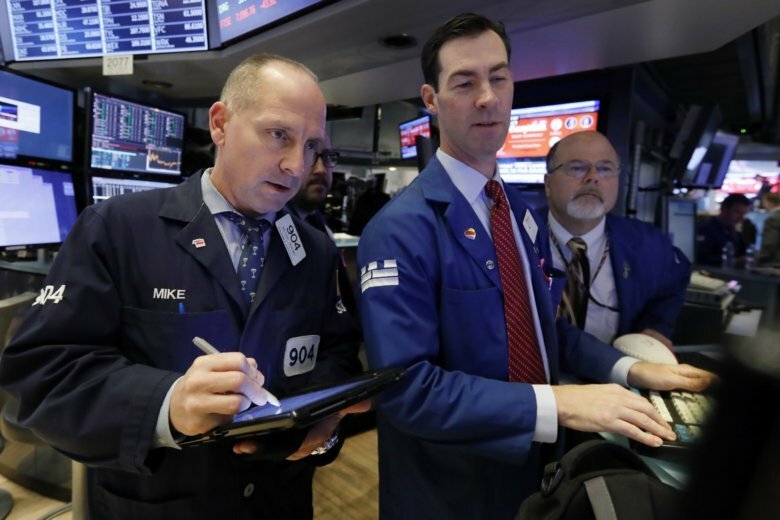 SINGAPORE (AP) — Asian markets were mostly lower on Thursday as a mixed bag of data from the United States that could point to softening growth rattled investors. KEEPING SCORE: Japan’s benchmark Nikkei 225 was less than 0.1 percent lower at 21,504.00 and South Korea’s Kospi dropped 0.2 percent to 2,071.94 in narrow trading. Hong Kong’s Hang Seng index slipped under 0.1 percent to 25,962.07. The Shanghai Composite fell 0.1 percent to 2,648.42. Australia’s S&P/ASX 200 bucked the regional trend, adding 0.6 percent to 5,674.90. Shares rose in Taiwan and Indonesia but were flat in Singapore. WALL STREET: Major indexes bounced back from two days of steep losses as retailers, technology and internet companies posted strong gains. The S&P 500 index added 0.3 percent to 2,649.93 and the Nasdaq composite rose 0.9 percent to 6,972.25. The Dow Jones Industrial Average was almost flat at 24,464.69. The Russell 2000 index of smaller-company stocks jumped 1.3 percent to 1,488.28. U.S. markets will be closed for Thanksgiving on Thursday and will be open for a half-day on Friday. U.S. DATA: Sales of existing homes in the U.S. rose in October, breaking a six-month losing streak, the National Association of Realtors announced Wednesday. Sales jumped 1.4 percent to a seasonally adjusted annual rate of 5.22 million in October from 5.15 million a month earlier. Still, the new numbers were still down 5.1 percent from a year ago. Durable goods orders also fell 4.4 percent last month from September, the largest amount in 15 months, with commercial and military aircraft leading the decline. This could point at adverse effects of a trade dispute between the U.S. and China, who have imposed additional tariffs on hundreds of billions of each other’s goods. ANALYST’S TAKE: “Basically the same issues – higher U.S. rates, trade, tech correction and fears of its morphing into weaker global growth – are continuing to keep investors on edge,” Shane Oliver, Head of Investment Strategy and Chief Economist at AMP Capital, said in an interview. ENERGY: Benchmark U.S. crude lost 23 cents to $54.40. The contract gained $1.20 to close at $54.63 in New York. Brent crude, the international standard, gave up 27 cents to $63.21. It finished 95 cents higher at $63.48 in London. CURRENCIES: The dollar eased to 112.98 yen from 113.07 yen late Wednesday. The euro strengthened to $1.1398 from $1.1383.